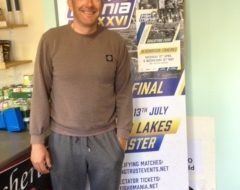 Robert Pelling a Welder from Ashton-under-Lyne fished only his second qualifier on Saturday 4th June 2011 at Partridge Lakes, Culcheth, Warrington to win the twelfth Fish ‘O’ Mania qualifier. He fished soft pellet across at 13 metres over micros and groundbait to catch a mix of F1’s, mirrors and commons to around 1 kilo for a total weight of 38 kilos 420 grammes from peg 10 on Marsh Lake. Whilst this excellent venue did not produce a repeat of last year’s record breaking catch of chub, it did produce a nail biting finale with at least 4 anglers, all of whom were on different lakes, in with a good shout right up to the final whistle. Relatively few sizeable carp were caught in this qualifier and 21 kilos was still needed to win all but one of the 13 ten peg sections. Robert just edged Paul Christie from Sandtoft near Doncaster into second spot by 420 grammes. 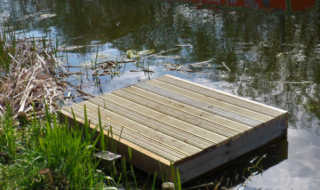 Paul who fished peg 3 on Holbar 2 Lake was one of the few anglers to locate the big fish by taking carp to 5 kilos at 16 metres along his left hand margin. All his 38 kilos final total fell to luncheon meat hook bait. Robert Minikin from York captured third spot with 37 kilos 540 grammes from Covey peg 27. He also had a mixture of F1’s and other carp to 1.5 kilos, all caught fishing tight over with 4mm expanders on the hook over micro pellets as feed. Fourth place went to Stephen Richards drawn on Willow Pool peg 1, who put 36 kilos 060 grammes of carp to 1.5 kilos on the scales all caught down the edge on pellet. Fifth place went to John Myatt from Stoke on Trent, who mixed carp again down the edge on pellet to weigh 29 kilos 320 grammes. Once again Partridge proved itself to be a very reliable and consistent venue with many of the anglers registering their approval before leaving . 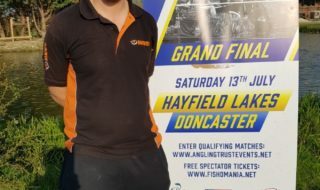 For one last chance into the Fish ‘O’ Mania grand final on Saturday 16th July 2011 there are some tickets available that have been returned for the 300 peg Fish ‘O’ Mania qualifier on Wednesday 29th June at Lindholme Lakes, Epworth, Doncaster. If you would like one last shot at one of the most prestigious prizes in angling and are an individual member of Angling Trust please ring the Angling Trust Competitions Department on 0115 9061 301/302 to register your name on the reserve list.